Team Gully Boy, including actors Ranveer Singh and Alia Bhatt, director Zoya Akhtar and producer Ritesh Sidhwani, attended the film's world premiere at the Berlin Film Festival. 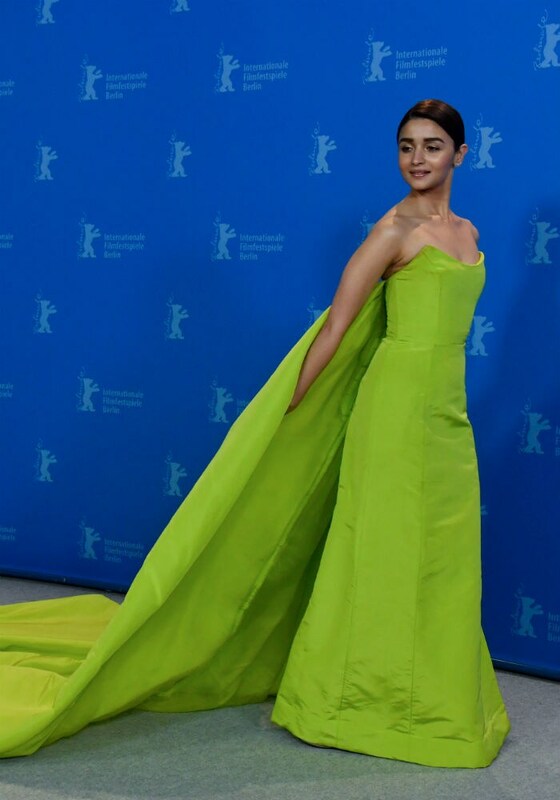 Alia Bhatt looked spectacular in a Prabal Gurung gown. Ranveer Singh looked dapper in Tom Ford pink leopard pattern jacket. Alia Bhatt stopped to click selfies with fans on the red carpet. Another picture of Alia Bhatt and Ranveer Singh on the red carpet. Gully Boy opens in Indian cinemas on February 14.